Laurie Wohland photographed by Paul Swanson. Laurie Wohland has never had cancer, but the disease has shaped her life. Her grandmother, mother and husband all died from cancer-related causes, and her sister and daughter are breast cancer survivors. Wohland has been a donor to the Alberta Cancer Foundation for more than 20 years. Each time the disease struck another family member, she and her husband increased their annual donation — no matter how tight money was. “Our contributions weren’t huge, but we gave every single year,” Wohland says. and she wondered if she could do more. Around three years ago, with the encouragement of her daughter, Christy Soholt (who is the manager of legacy giving at the Alberta Cancer Foundation), Wohland attended a seminar, hosted by the Foundation, where she learned that if she made a bequest to the Foundation in her Will, her estate would receive charitable benefit. Wohland had always assumed leaving a large donation to charity would mean leaving a small estate for her children. But, thanks to the seminar, she understood that the tax advantages resulting from the donation would allow her to make a major gift without significantly diminishing her children’s inheritance. To make the bequest, Wohland is in the process of amending her Will. 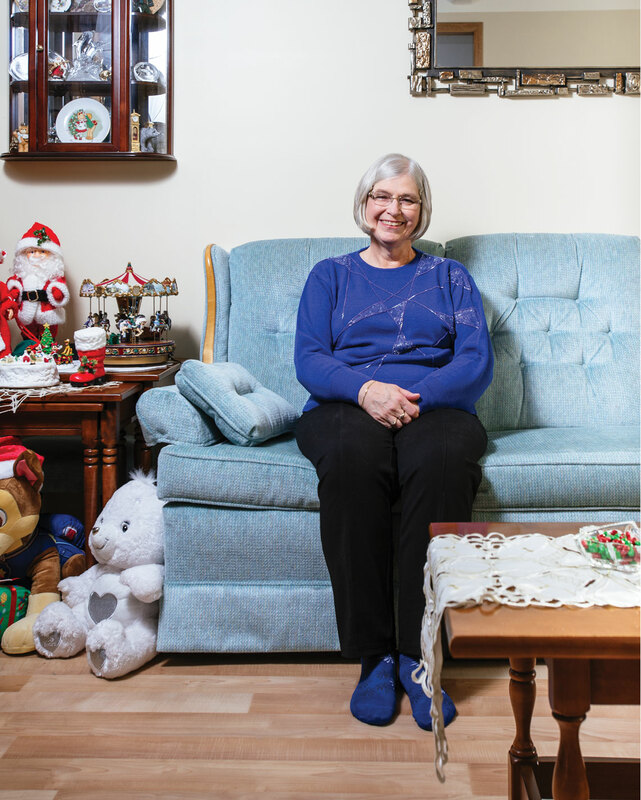 She plans to leave a percentage of her estate to support cancer research in Alberta, rather than a dollar amount. She hopes her gift will help to improve early detection procedures and advance treatments, which she credits with saving her daughter’s life. Now, she’s trying to convince her friends to consider legacy giving. “They say, ‘Oh, I’ll leave [my estate] to my kids,’ but they can do a whole lot better than that,” Wohland says.